With Halloween right around the corner, it's hard not to stroll around grounds without thinking of UVa's most famous dropout--Edgar Allan Poe. 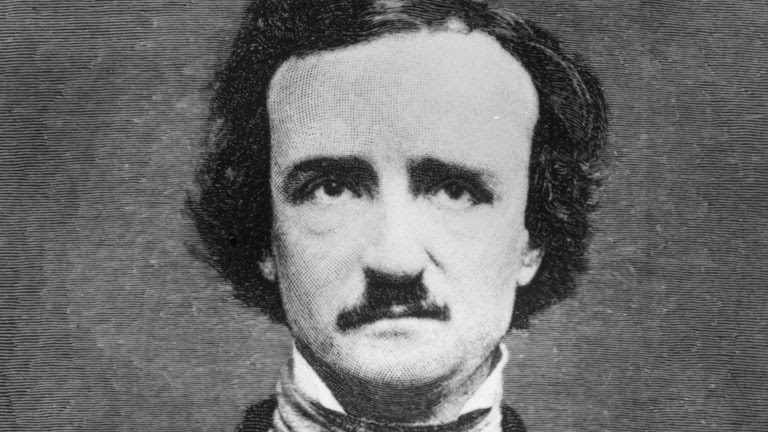 Yes, THE Edgar Allan Poe! In February of 1826, Poe began his academic journey at the University of Virginia. During his time here, he studied ancient and modern languages. While Poe excelled academically, he wasn't exactly UVa's definition of an ideal pupil. 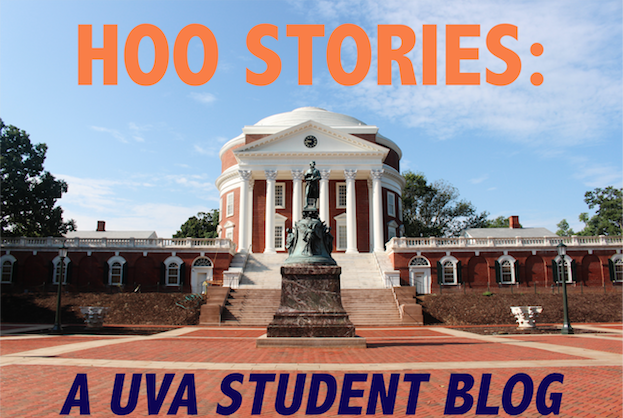 Essentially, Poe broke all of UVa's strict rules against things such as gambling and tobacco. In doing so, Poe ultimately jeopardized his chances of graduating. Poe's love of gambling caused him to go into debt which prevented him from registering for classes and buying textbooks. Frustrated, discouraged, and poor, Poe dropped out of UVa on December 15, 1826. Although Poe left UVa, he maintains a powerful presence here. For example, just by visiting UVa's Bookstore, you'll find Poe-inspired cups, bobble heads, and shirts. If you want to get a little closer to UVa's famous literary drop-out, you can always visit his old dorm room on the West Range. It's highly appropriate that the Gothic writer once inhabited room No. 13 which is now preserved by The Raven Society. You can get a glimpse of Poe's life at UVa by peering into No. 13's glass door. 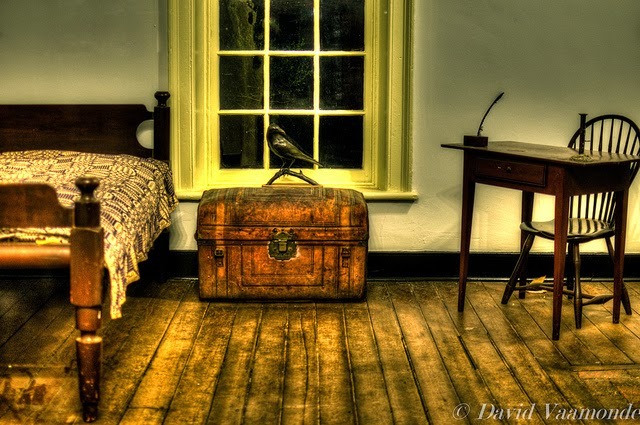 Inside you will see early 19th century furniture as well as a black raven. By pressing a button outside of the room, you can hear a recording that explains Poe's time at UVa. Perhaps if you're brave enough to visit No.13 in the dark hours of the night, you might see Poe pacing around the room. Don't be frightened if a black cat crosses your path or if a raven perches on your shoulder. Although Poe's life at UVa is nevermore, we can forever feel his presence by tapping at this chamber door. Pre-med? Pre-comm? Pre-Law? Post-Confused? For those of you that are interested in a pre-professional track here at Mr. Jefferson’s University, the process can seem daunting. But fear not! There are plenty of resources here for your help. Check out the University Career Services (UCS) website at http://www.career.virginia.edu/preprof/. They have tons of information regarding courses, prospects, and can even help you understand if being a judge/neurosurgeon/dentist is really your cup of tea. If possible, try to schedule a one-on-one appointment with an advisor, or even try dropping in during office hours. It will definitely make the process easier to understand. Pre-commerce students have similar resources available at http://www.commerce.virginia.edu/undergrad/advising/Pages/Advising-for-Pre-Commerce-Students-.aspx through the McIntire School itself. Remember, the advisors are here to help you, so take advantage of the resources! Talk to upperclassmen/alumni/professors that have gone through the process before. I know it seems a little awkward at first, but reaching out to other people is the best way to better understand what can be a very confusing and stressful experience. Make new friends in CIOs, go to your professor’s office hours, or even directly contact professors (in the law/medical/commerce school) that could give you insight into the application process or the professional field itself. Stay up to date with application/selection process for your track. For example, in 2015, the MCAT is significantly changing the content of the exam. It would be terrible if you had practiced mainly from old workbooks, and gotten quite a shock when you went to your exam date… Remember to check out reliable online student blogs and websites (such as this one!) periodically to look out for opportunities and key information. Plan ahead! The more you plan ahead, the more prepared you will be—I guarantee it. Good luck wahoos! I am sure you will do us proud in whatever your field of choice is. Next week (October 20-26), there are multiple awareness and advocacy events occurring on Grounds that you should know about! Two of the most prominent ones are Fat Talk Free Week and the #HoosGotYourBack Pledge Day/Find Your Voice event. The UVa community has been shaken this semester, but these events are good, necessary reminders that we may be shaken, but we can always heal again with the support of our peers. Fat Talk Free Week is an international awareness campaign aiming to draw attention to body image issues and the damaging impact of the “thin ideal” on women in society. The sorority Delta Delta Delta, which hosts this campaign nationwide, sponsors the event here at UVa, along with the CIO called HOPE (Hoos Open to Preventing Eating Disorders), which hosts their own events on Grounds throughout the week. The main objective of the campaign is to encourage college students to “End Fat Talk.” You may have never heard of fat talk, but I am confident you have heard it being used—it refers to any comment that reinforces the thin-ideal standard of beauty and contributes to body dissatisfaction. Fat talk can be a friend saying, “I need to lose ten pounds before I wear that,” or asking, “Do I look fat in this?” It is common to hear these things and not give them a second thought, so the campaign works to raise awareness of how students use fat talk and aims to get students to pledge to end it and reframe their self-talk positively. One of the many events happening during the week is called “Operation Beautiful,” and consists of students leaving anonymous, positive notes around Grounds to make others feel loved and appreciated (and beautiful, as the name of the event suggests)! Another incredible event that is happening next week is an extension of the Office of the Dean of Students’ Not On Our Grounds initiative to end sexual violence at UVa. A few powerful things are happening through this initiative; first, Thursday is #HoosGotYourBack Pledge Day. If you are unfamiliar with the #HoosGotYourBack campaign, it was designed during the summer of 2014 and made its debut this semester. The focus is on bystander intervention, awareness, and educating students to become informed and effective bystanders in the face of sexual violence. On Thursday, October 23, students will gather on the lawn to share bystander stories and to sign the “Not On Our Grounds” pledge to be an ally in putting an end to sexual violence at UVa. Although signing the pledge is important, students recognize the need to continue the dialogue on sexual assault and the new campaign here at UVa. As a result, on Sunday, October 26, a new student-run performance organization called “Find Your Voice UVa” will be putting on a show with the #HoosGotYourBack campaign as the theme. It will feature real stories and experiences of students regarding sexual assault and misconduct, and will be presented in a beautiful, healing, emotional performance. The goal of “Find Your Voice UVa,” as is sure to be exemplified in their first performance on Sunday, is to shed light on prevalent issues in the UVa community and to give students a place to share their experiences in a meaningful, empowering and healthy way. In the face of extreme adversity, such as the terrifying and unsolved disappearance of one of our own in September, the UVa community continues to push on and do incredible things to help each other heal and become more educated about important issues. The events of Fat Talk Free Week and the #HoosGotYourBack campaign are crucial examples of the resilience and determination that defines the community at the University of Virginia.